This assumes you already have a Google account to sign in as, or an account associated with a Google-sites website or Blogger blog. As its a Google service, the front-end page flow holds your hand so you don't need to be Einstein; a moderately intelligent chimp should be able to do this. 1. 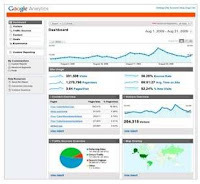 Login to Google Analytics (G-A) at http://google.com/analytics/. The main Settings page loads. 2. 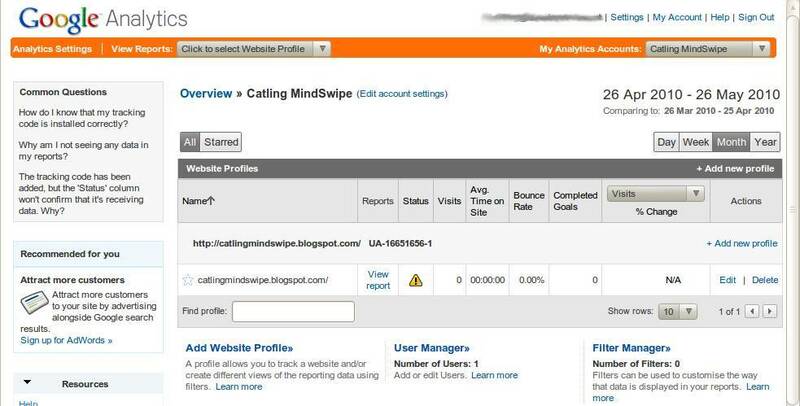 In Analytics sign-up, you need to create an Analystics 'account' or profile. Bear in mind this is your profile wrapper for however many sites or blogs you wish to track, so the site URL is only the first of up to 100 under your 'portfolio', pick an Account Name to cover everything. Timezone is important if you want to track traffic in your local time. 3. Add Contact info and locale. Anything you like. 4. Agree to the Terms of Service; or don't use it! 7. 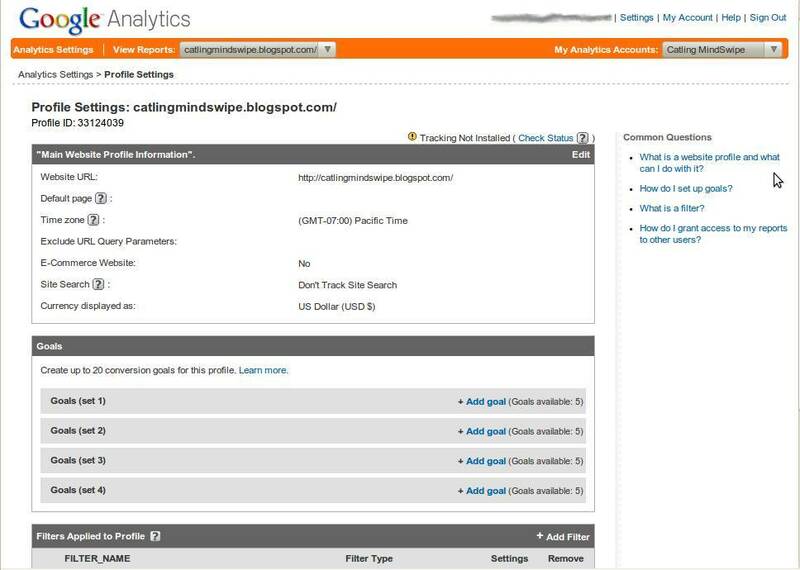 Where you can set additional parameters for the profile such as goals: goals are visitor actions on your website you want to track, for example, viewed a key page, create a profile, join the email list, make a purchase. Goals are actually just a specific page view for GA to track. You get 4 goal sets each with up to five goals in each. 9. When you go back to G-A, it queries the site and will update for data. Next to your blog’s URL it will say either 'Receiving Data' (success!) 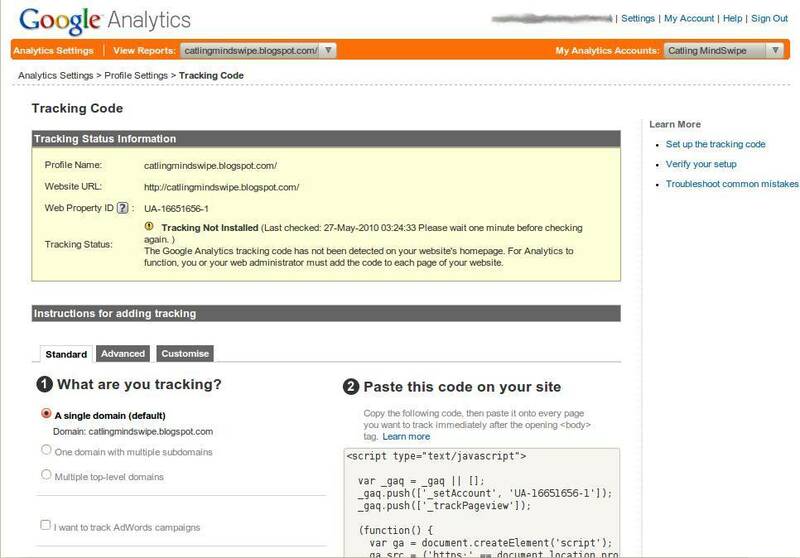 or 'Tracking Not Installed' (fail), in which case click on 'Check Status' to force G-A to check your site again for the Analytics Code Block. It has to be compliant for the site platform AND sit in the correct place in the template for running valid scripts. And your site has to be able to run scripts. Try re-pasting the Code Block in the event of an initial failure and SAVE the page. 10. 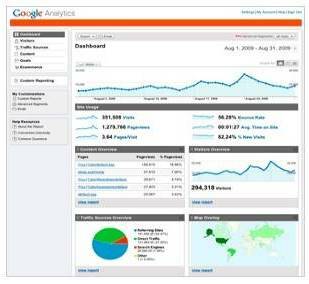 Give it some time for the traffic data to build up, then you can go into your G-A dashboard to see the reports; all manner of charts, graphs and stats (top screen-shot). You now have an opportunity to see where your visitors come from, what browsers they use, which pages they hit, when, how often.